New Product Launch! 208R Reverse! You asked and we listened! Introducing the Hammerhead™ 208R buggy - the Mudhead buggy that now has reverse gear! Totally new and exclusive to Storm Buggies and our official dealer network. 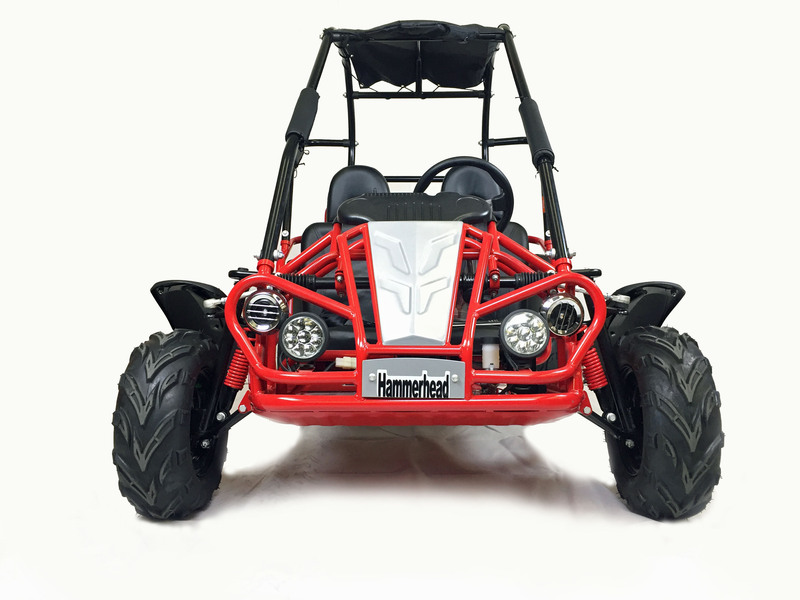 We are excited to announce that the new Hammerhead™ 208R buggies are now in stock. We have been asked countless times for a Mudhead buggy that has reverse gear, so here it is! The Mudhead '208R' is the latest version of the proven Mudhead off road buggy and is the only vehicle in it's class to feature reverse gear. The 208R has been available in the USA for around two years now and has established itself as a great medium sized kids off road machine. Hammerhead™ is now owned and managed by the largest leisure sports vehicle company in the world 'Polaris Industries' so you can be sure this is a quality product, backed up with a premium service & support from the team here at Storm Buggies UK.